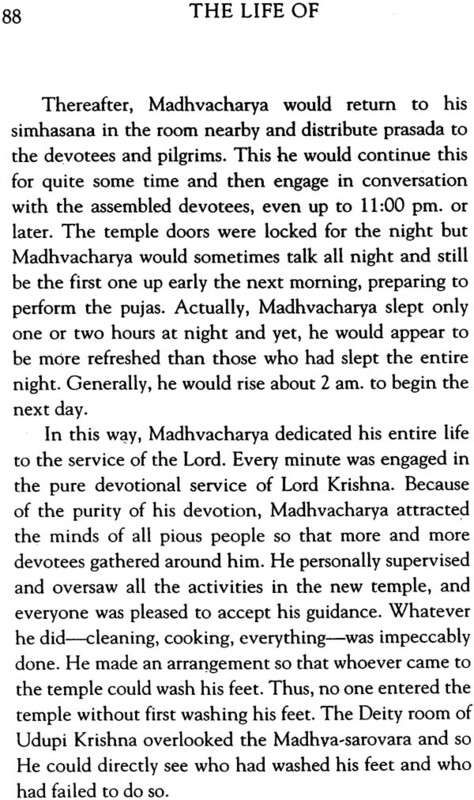 “In his childhood Madhvacarya was known as Vasudeva, and there are some wonderful stories surrounding him. It is said that once when his father had piled up many debts, Madhvacarya c tamarind seeds into actual coins to pay them off. When he was five years old, he was offered the sacred thread. A demon named Maniman lived near his abode in the form of a snake, and at the age of five Madhvacarya killed that snake with the toe of his left foot. When his mother was very much disturbed, he would appear before her in one jump. The purpose of the discussions in the Upanisads and Vedanta-sutra is to philosophically establish the personal feature of the Absolute Truth. The impersonalists, however, in order to establish their philosophy, accept these discussions in terms of laksana-vrtti, or indirect meanings. Thus instead of being tattva-vada, or in search of the Absolute Truth, they become Mayavada, or illusioned by the material energy. 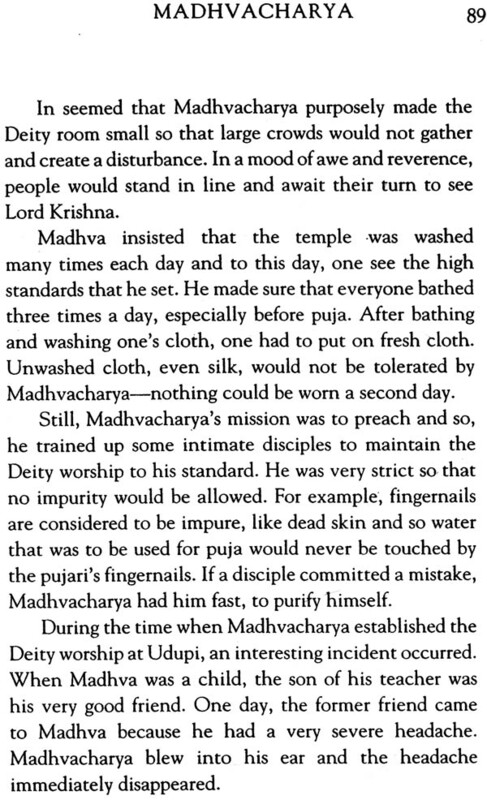 When Sri Visnu Swami, one of the four acaryas of the Vaisnava cult, presented his thesis on the subject matter of Suddhadvaita-vada, immediately the Mayavadis took advantage of this philosophy and tried to establish their advaita-vada or kevaladvaita-vada. To defeat this kevaladvaita-vada, Sri Ramanuja-carya presented his philosophy as visistadvaita-vada, and Sri Madhva-carya presented his philosophy of tattva-vada, both to the Mayavadis because they defeat their philosophy in scrupulous detail. At the time, all the South Indian Vaishnavas were worshipers of Lord Ramachandra. Some were Tattvavadis, and some were followers of Ramanujacharya. 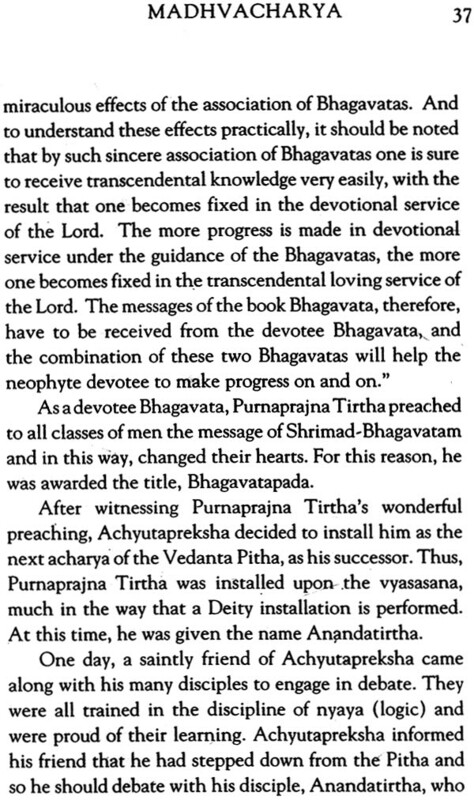 Srila Bhaktisiddhanta Sarasvati Thakura points out that the word “Tattvavadi” refers to the followers of Srila Madhvacarya. To distinguish his disciplic succession from the Mayavadi followers of Sankaracarya, Srila Madhvacarya named his party the Tattvavadis. Impersonal monists are always attacked by these Tattvavadis, who attempt to defeat their philosophy of impersonalism. Generally, they establish the supremacy of the Supreme Personality of Godhead. Actually the disciplic succession of Madhvacarya is known as the Brahma Vaisnava sect; that is the sect coming down from Lord Brahma. Consequently the Tattvavadis, or followers of Madhvacarya, do not accept the incident of Lord Brahma`s illusion, which is recorded in the Tenth Canto of Srimad-Bhagavatam. 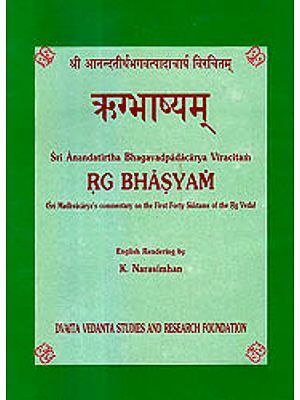 Srila Madhvacarya has purposefully avoided commenting on that portion of Srimad-Bhagavatam in which brahma-mohana, the illusion of Lord Brahma, is mentioned. Srila Madhavendra Puri was one of the acaryas in the Tattvavada disciplic succession, and he established the ultimate goal of transcendentalism to be attainment of pure devotional service, love of Godhead. Those Vaisnavas belonging to the Gaudiya-sampradaya, the disciplic succession following Sri Caitanya Mahaprabhu, are distinct from the Tattvavadis, although they belong to the same Tattvavada-sampradaya. The followers of Sri Caitanya Mahaprabhu are therefore known as the Madhva-Gaudiya-sampradaya. 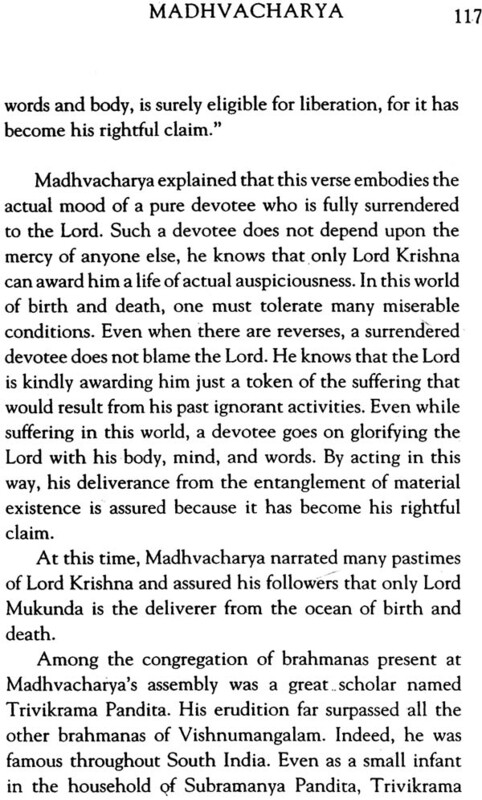 In his purports to the verses of the Shrimad- Bhagavatam, Shrila Prabhupada often quoted Madhvacharya. 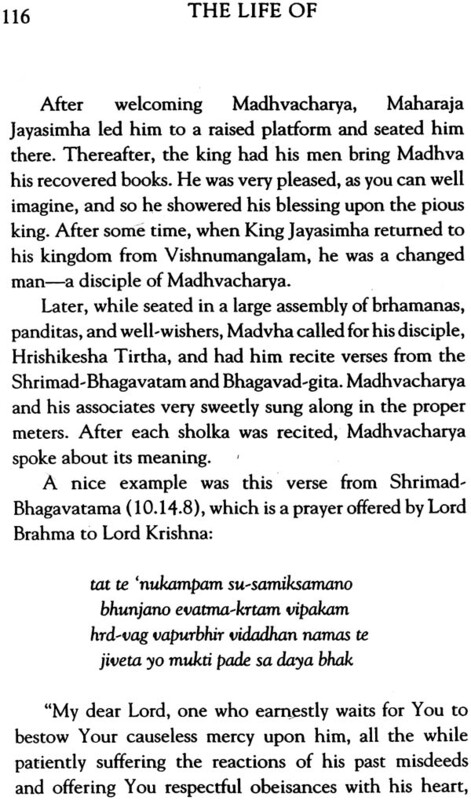 lf you have the Bhaktivedanta Veda base, type “Madhvacharya” in the advanced search and just see how many times Shrila Prabhupada quoted him. Hundreds of times! 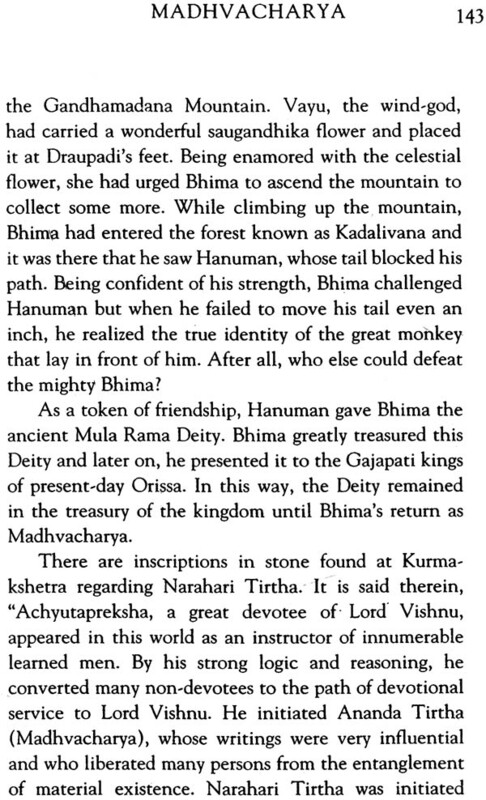 Let us read a few of these purports and get an insight into how much respect Shrila Prabhupada had for Shrila Madhvacharya Bhagavatapada. 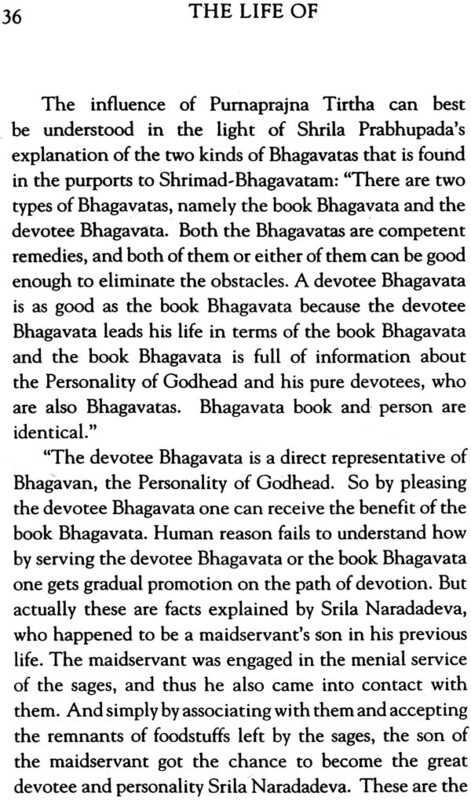 Lord Siva, speaking to Parvati-devi, foretold that he would spread the Mayavada philosophy in the guise of a sannyasi brahmana just to eradicate Buddhist philosophy. This sannyasi was Sripada Sankaracarya. In order to overcome the effects of Buddhist philosophy and spread Vedanta philosophy, Sripada Sankaracarya had to make some compromise with the Buddhist philosophy, and as such he preached the philosophy of monism, for it was required at that time. Otherwise there was no need for his preaching Mayavada philosophy. 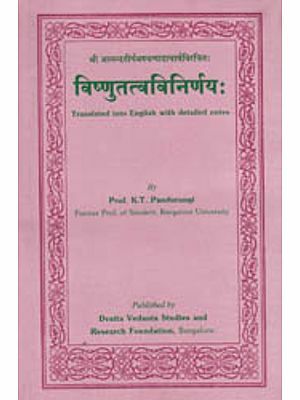 When Sri Visnu Svami, one of the four acaryas e of the Vaisnava cult, presented his thesis on the subject matter of suddhadvaita-vada, immediately the Mayavadis took advantage of this philosophy and tried to establish their advaita-vada or kevaladvaita-vada. 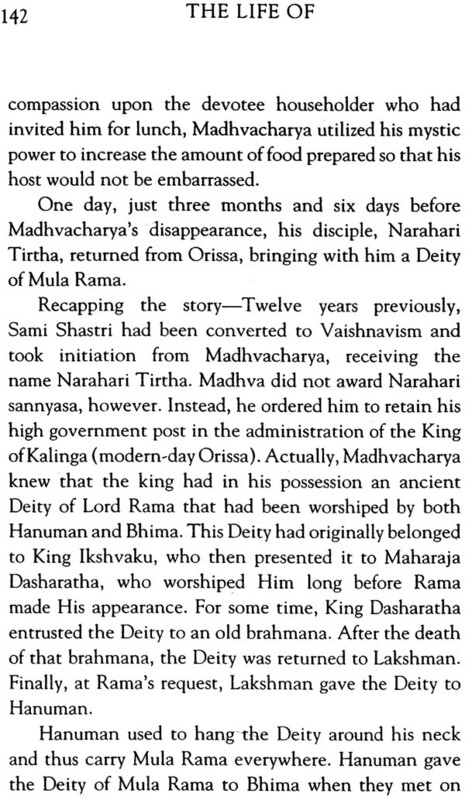 To defeat this kevaladvaita-vada, Sri Ramanujacarya presented his philosophy as visistadvaita-vada, and Sri Madhvacarya presented his philosophy of tattva-vada, both of which are stumbling blocks to the Mayavadis because they defeat their philosophy in scrupulous detail. Students of Vedic philosophy know very well how strongly Sri Ramanujacarya visistadvaita-vada and Sri Madhvacarya’s tattva-vada contest the impersonal Mayavada philosophy. Sri Caitanya Mahaprabhu, however, accepted the direct meaning of the Vedanta philosophy and thus defeated the Mayavada philosophy immediately. He opined in this connection that anyone who follows the principles of the Sariraka-bhasya is doomed.